Maps of Florida are an vital part of ancestors and family history research, notably in the event you live faraway from where your ancestor resided. Because Florida political boundaries often changed, historic maps tend to be significant in helping you find out the precise location of your ancestor’s home, what land they owned, just who his or her neighbors had been, and a lot more. 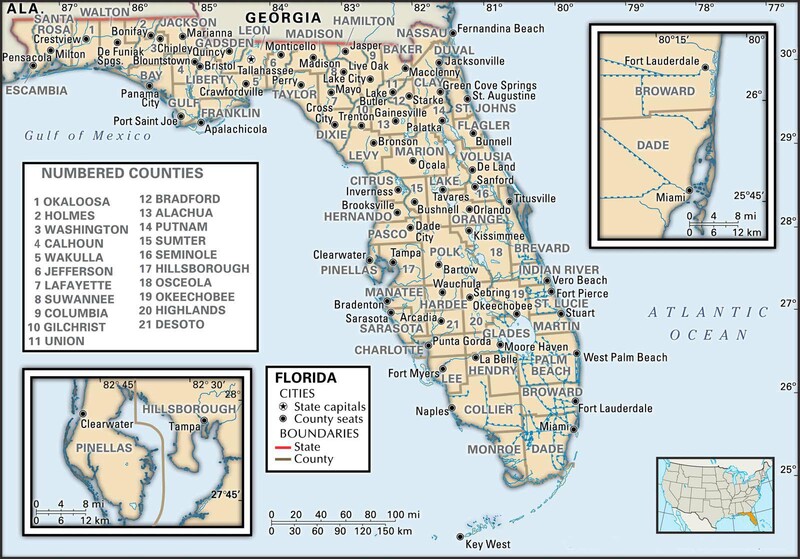 Maps of Florida often have a tendency to be an outstanding reference for starting out with your own research, simply because they provide you with substantially useful information and facts immediately. Florida Maps can be a major resource of important amounts of details on family history. Florida’s 10 largest cities are Jacksonville, Miami, Tampa, St. Petersburg, Orlando, Hialeah, Tallahassee, Fort Lauderdale, Port Saint Lucie and Pembroke Pines. Learn more about Historical Facts of Florida Counties. 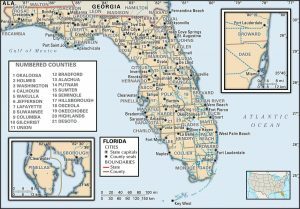 Florida State and Regional Maps: 1500-1599 (5 maps), 1600-1699 (6 maps), 1700-1799 (59 maps), 1800-1849 (32 maps), 1850-1874 (44 maps), 1875-1899 (55 maps), 1900-Present (21 maps). “A Chronology of Florida Post Offices”, 1993 by Bradbury, Alford G.
“Provisional Historical Gazetteer with Locational Notes on Florida Colonial Communities”, 1974 by Cline, Howard F. .
“Atlas of Historical County Boundaries: Florida”, 1996 by Long, John H., ed. .
“English Topographic Terms in Florida, 1563–1874”, 1953 by McMullen, Edwin Wallace. “Florida Place Names: Alachua to Zolfo Springs” by Morris, Allen.